Description: Shell medium size, wide for genus, spire nearly straight-sided, up to 9 teleoconch whorls. 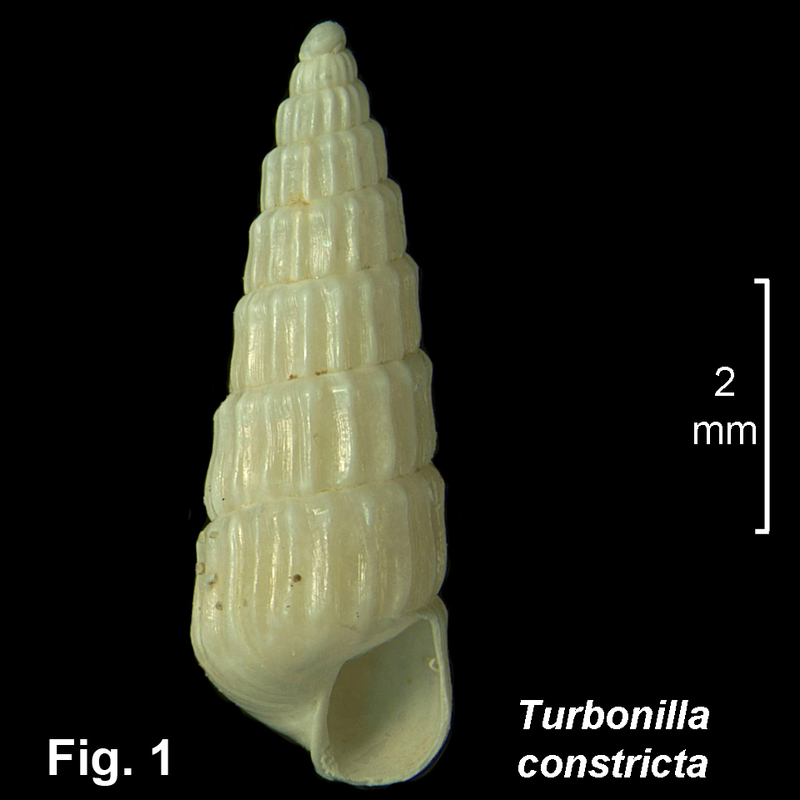 Protoconch coiled (Type B), of about 2 whorls, set on teleoconch with axis inclined at about 110° to teleoconch axis. Teleoconch up to 9 whorls, constricted around middle, sculptured with about 16 strong axial folds, on last whorl terminating level with top of aperture; no spiral sculpture. Aperture wide, columella without plaits. Shell slightly translucent to opaque white. Size: Up to 8 mm in length. Distribution: Endemic to Australia: Sydney southwards to Ulladulla, NSW. Remarks: This is one of the species from Challenger station 164B, from 410 fathoms off Sydney, which were so unusual when they were collected that it was considered that specimens had been mixed up and they were actually from the North Atlantic Ocean. Subsequently, the species have been re-collected in NSW and have been recognised as part of the NSW fauna (Iredale & McMichael, 1962, p. 4). Fig. 1: Off Nowra, NSW, in 786–841 m (C.343219).